It’s that time of year again… When we plan and host a Birthday party for the little one in our lives. 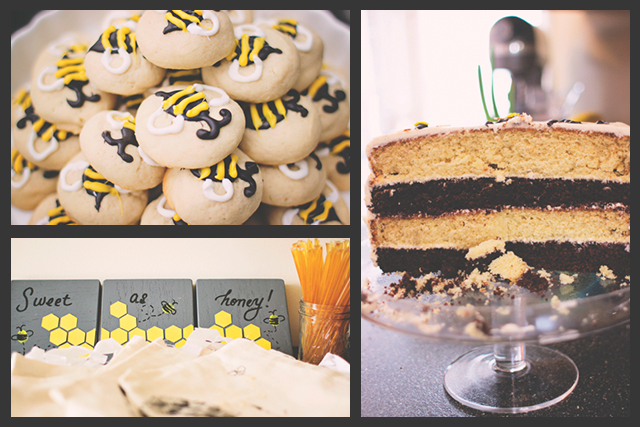 Last year our little monkey got a Banana Birthday Cake and Sock Monkey themed party, and this years inspiration came from her obsession with bumblebees. This bumblebee layer cake is made with a basic yellow cake and a basic chocolate cake (we used our Red Velvet Cake recipe, just omit the vinegar and food coloring). 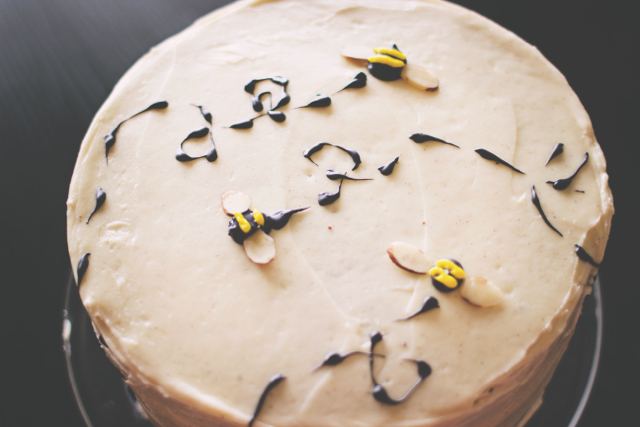 Continuing with the bumblebee theme, we topped the cake with a spiced honey buttercream. The buttercream is sweet, smooth, and creamy, with a light honey flavor and just the right amount of cinnamon spice. The frosting is really what made this cake out of this world! So good, in fact, that we are thinking about pairing it up with our Sweet Potato Cupcakes and our Carrot and Zucchini Vanilla Cake. This frosting recipe made enough to fill and cover a four layer cake, with minimal decoration. If you are planning on a more elaborate icing decoration, you may want to increase the quantity by half or even more. 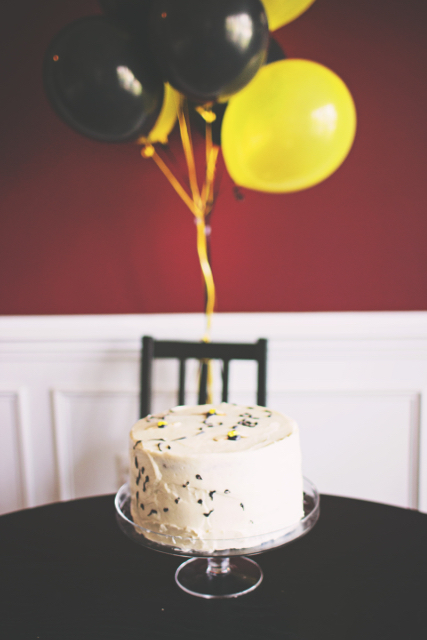 We can’t forget a major thank you to our special occasion photographer, Katie Garcia, for letting us use her photography from the birthday party in this post – with all of the party preparations we only managed to get one poorly lit photo of the cake with a phone. 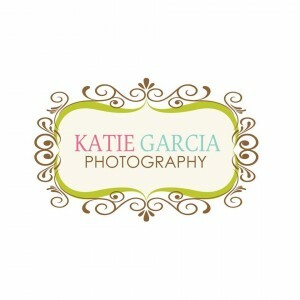 If you haven’t already, you need to check out Katie Garcia Photography for all of your picture taking needs. Sweet, creamy, and lightly spiced! We always use local honey whenever we can, in this case we used wildflower honey, but feel free to experiment with other varieties. Beat the butter, honey, and ground cinnamon at medium speed in an electric mixer until fluffy. Reduce the speed to low and slowly add the confectioners' sugar. If consistency is too runny, add additional confectioners sugar a little at a time. Option: Add more cinnamon to taste.